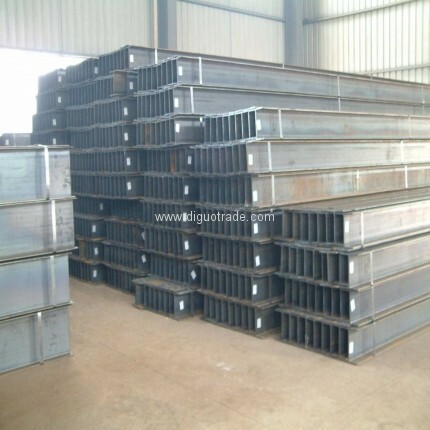 Knowledge of H beam: Hot-rolled H section steel specifications, the weight of hot-rolled H section steel, hot-rolled H section steel grade, hot-rolled H section steel models, hot-rolled H beam size is a more optimal allocation of cross-sectional area, strength-weight ratio is more reasonable of Economic and efficient cross-section profiles, Specification for hot-rolled H section steel and letter "H" as the same name. 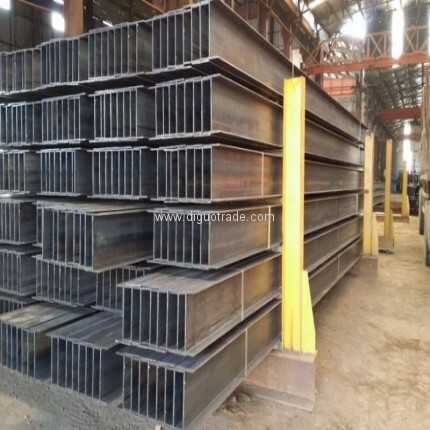 Hot-rolled H section steel with a bending ability, simple construction, cost and structural advantages of light weight, it has been widely used. 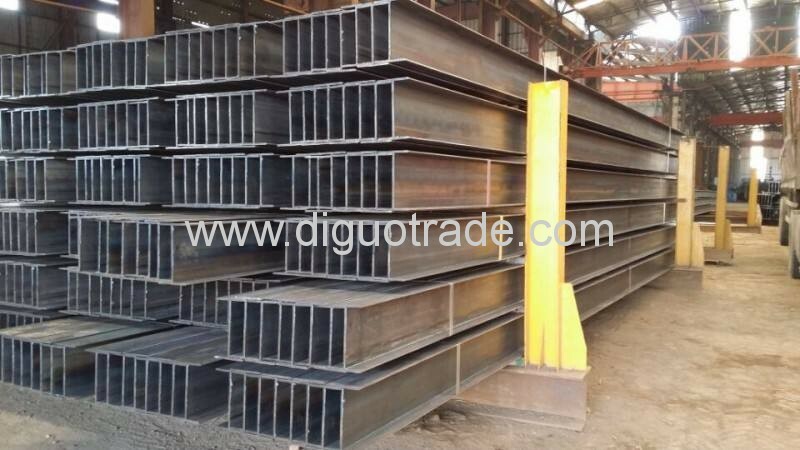 Specifications are divided into hot-rolled wide-flange H beam steel hot-rolled H specifications (HK), hot-rolled H section steel narrow flange size (HZ) and hot-rolled H section steel pile size (HU) categories. 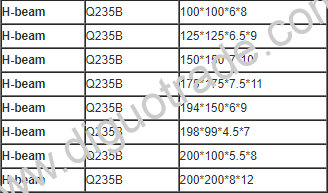 Hot-rolled H section steel specifications expressed as: Height H Width B web thickness t1 and flange thickness t2, If H steel Q235, SS400200200812 that expressed as high 200mm wide 200mm web thickness 8mm and flange thickness 12mm of wide-flange H beam sizes, the brand for Q235 or SS400. 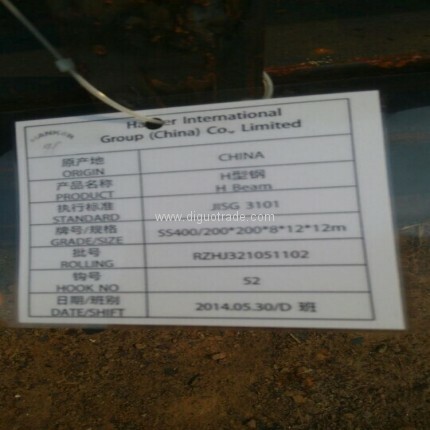 Hot-rolled H section steel is a new kind of economic construction steel. Economic rationality of H beam cross section sizes, good mechanical properties, rolling cross-section extends over all the points on a uniform, internal stress is small, compared with the ordinary I-beam, with a large section modulus, light weight, advantages of saving metal, it can reduce 30-40% weight of the building structure; Because of its parallel inner and outer legs, leg-side is the right angles, assembled into composite components, saving welding, riveting work amounted to 25%. Commonly used in the large bearing capacity required, good Cross-section stability of building (such as factories, high-rise buildings, etc. 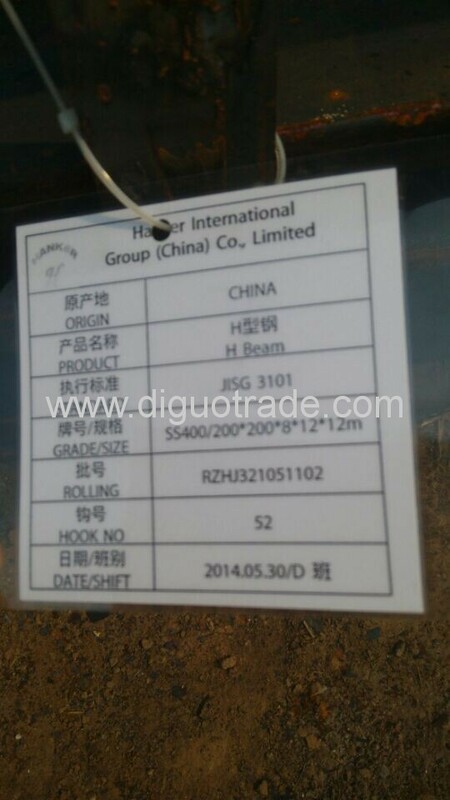 ), as well as bridges, ships, handling equipment，equipment foundation, frame，and foundation piles. Hot-rolled H section steel is mainly used in industrial plants, civil construction, municipal works, oil platforms, bridges, flatbed beams, power bracket of electrified railway and steel railway bridges. 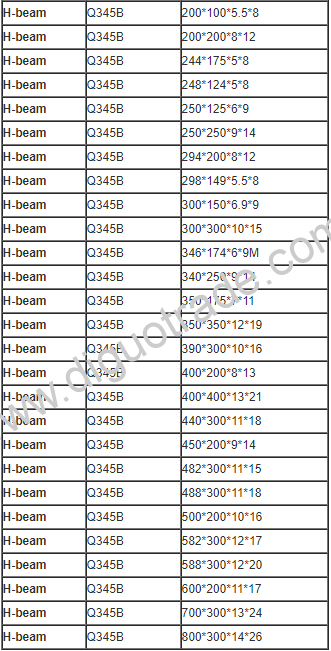 Lightweight, ultra-light H beam is ideal for containers, mobile housing bracket, various venues, villa manufacturing.